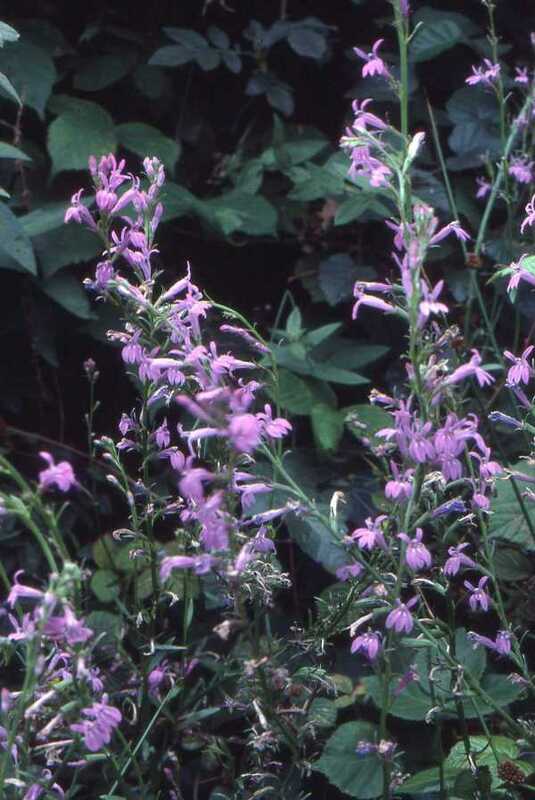 Above: Heath Lobelia in Dorset, where it is now very rare. This flower was first found in 1768 by Lord Webb Seymour on a heath near Axminster in Devon, and today it is still present, confined to only four small areas beween Devon and Sussex. Heath Lobelia is a tall plant, growing up to 50cm in height, with beautiful blue flowers that open in lax spikes during July and August. The scientific name, Lobelia urens, may refer to the fact that handling the plant and then rubbing the eyes causes pain and inflammation, and it is said to have a 'hot and burning' taste. Today some of the remaining plants are cared for by the Devon Wildlife Trust, and volunteers are welcomed to assist with the annual count of the plants at their Andrews Wood Reserve near Loddiswell in Devon.